The holiday season is almost in full swing and with so many festive events going on in the city, it can be hard to choose where you should spend your precious time. But don’t worry, we’ve got you. Here are five things we’ll be doing in Calgary this season. We’ve tested them all out year-after-year and we promise they don’t disappoint. (If they do, you mayyyy be a lil’ Grinch.) Oh, and, you might even be able to hit them all before December 25th if you plan properly. Head to Spruce Meadows for their highly-anticipated Christmas market. This year, The International Christmas Market presented by TELUS is happening November 24 to 26 and December 1 to 3, 2017. From world-imported items to hand-crafted gifts, this festive market is just what you’ve been longing for: a stress-free, beautiful environment to do all of your Christmas shopping. There’s no better place to find unique, personal gift ideas. 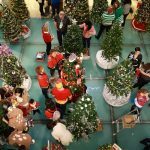 The Core will be kicking off the holidays this week with their Find Christmas Downtown campaign where 150 beautiful Christmas trees will be decorated by various Calgary corporations, not-for-profit groups and media. The trees will remain decorated and on display for all to see until December 20th, 2017, when they will be picked up and delivered to local families in need. Downtown comes alive with Christmas cheer in December. Visit Mrs. Claus, skate with Santa at Olympic Plaza, join in on caroling fun and snap some pics in front of the giant inflatable snow globe. Events are running throughout December, starting on the 6th. For more information, visit calgarydowntown.com. Check out this year’s ZOOLIGHTS event; the 20th annual Christmas celebration held at the zoo. There are loads of activities and displays to check out! Fun for the entire family. 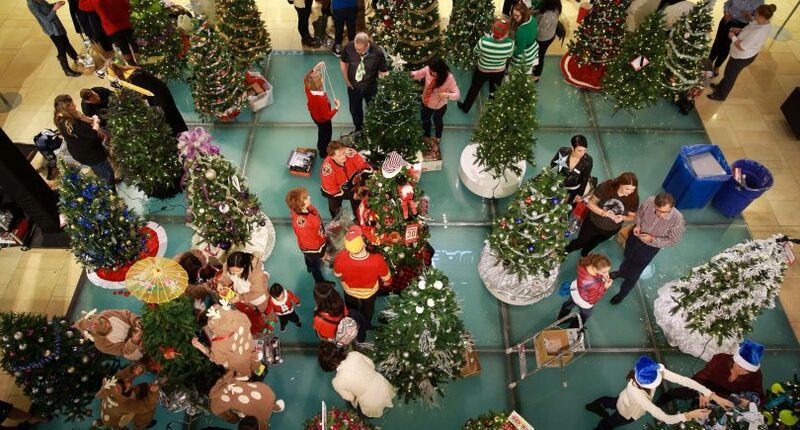 The ENMAX Conservatory, 1.5 million twinkling lights (yes, really that many), skate, craft, sip and cuddle up by the fire. All aboard The Polar Express! Take a journey with family and friends on this magical train ride to the North Pole as you listen to the motion picture soundtrack, sip hot chocolate and enjoy cookies. You’ll also be treated to a reading of the classic book and be entertained by characters from the movie. Did we mention you can wear your pyjamas? Need some comfort food to get you through the winter? Here are our picks of the 25 most comforting dishes in Calgary.